Overall planning and design of the Project which shall include preparation of settlement plan of the site, Architectural design, Landscaping, complete Interiors & furniture, other associated services, drawings and documents for all stages of the project including obtaining mandatory urban planning approvals, architectural design clearances and building permits from Chankaya Municipality, Directorate of Environment and Urbanization and Regional Commission for Natural Preservation and Heritage Conservation or any other local authorities, as may be required, preparation of tender documents based on FIDIC template or any other standard template as per local practice, tender processing and other consultancy services as would be required to be provided, as per local regulations, for design implementation during construction phase of the Project. 2. The built up area of the Project is expected to be approximately 2200 Sq. M.
3. 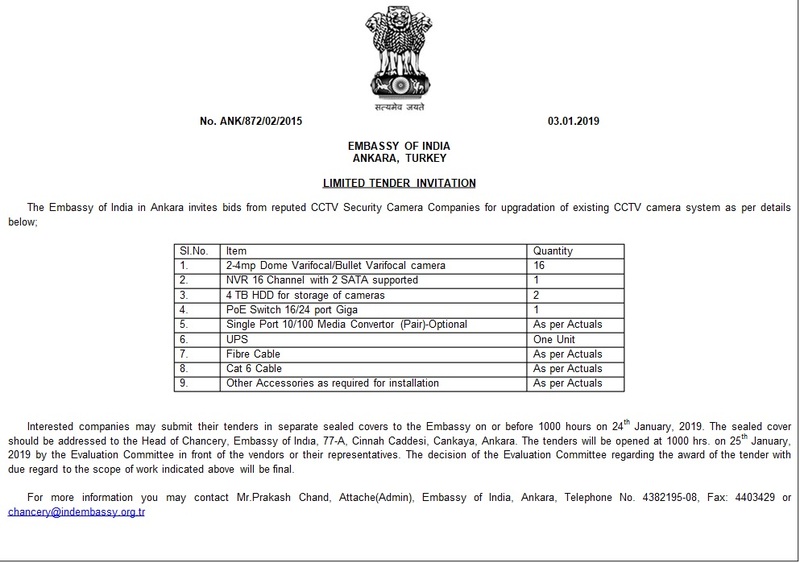 Detailed information is available on the official website of Embassy of India, Ankara, Turkey at www.indembassyankara.gov.in. 4. 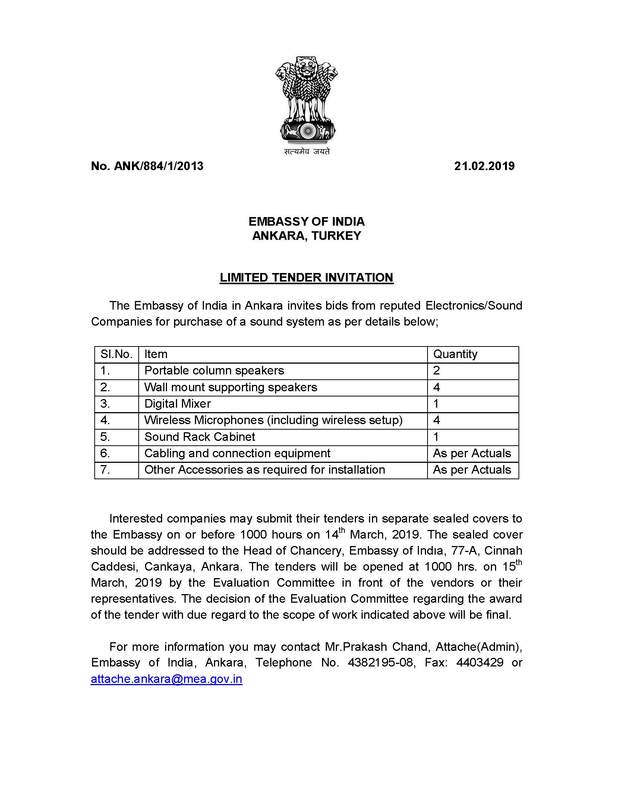 EOI with all enclosures and their English translation, including its scanned PDF copy in CD/DVD needs to be submitted to Embassy of India, Ankara, Turkey on or before 10.30 a.m. on 30 November 2018. Late submissions will be summarily rejected. 6. As the next step of the process, short listed Applicants will be given the Design Brief of the Project for submission of their respective Concept Design and Financial Proposal for selection of the Project Architect. In this regard, BHEL has floated an open tender on 31.10.2018. Global Tender from Central Mine Planning & Design Institute-Requirement of Desorption Canisters compatible with Gas Measurement System etc.